As soon as I saw this book, I knew that I just had to read it. I really don't know why I was so eager to read this book. 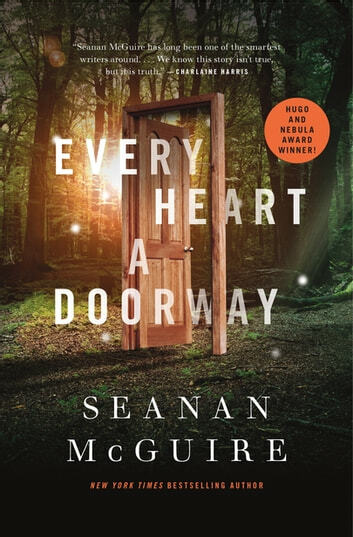 I have actually never read anything by Seanan McGuire so there isn't a lot of logic in my need to read this book. I think that the cover pulled me in but the description sealed the deal. I actually pre-ordered this book which I only do once or twice a year. I was really afraid when I finally had the book that my expectations were so high that I was in the perfect position to be let down. I am happy to report that I ended up liking this book a lot. This is a short book. Amazon lists the hardcover length at only 173 pages. Don't let the size of the book fool you because this is a big story. I was immediately pulled in by the characters. I love stories with interesting characters and this book was filled with them. There isn't a single average character in the story and I think that every one of them added something to the story. The premise of the book was amazing. It was just such an originally presented concept that I couldn't help but be captivated by it. The book takes place at a school for children who have spent time in other realms. They aren't traumatized by their experiences as one would expect. They are only traumatized by the fact that they can't get back. Every student at the school wants to go back to the magical worlds that they have spent time in. Every one of these worlds are unique and different and have a huge impact on who the student the become. When strange things start happening at the school, they must also start to deal with fearing for their safety. I really liked the mystery aspect of the story. I really had no idea what was going on but loved watching the group of kids work to make things right. I thought everything was just creepy enough to make this a very compelling read. This was a book that I didn't want to put down at all because the pacing was terrific. I thought the the overall writing was beautifully done. I would recommend this book to fans of books that are just a little bit different and out of the ordinary. This is a book that I am sure that I will pick up again in the future. I am incredibly excited to learn that this book is the beginning of a new series. I will definitely be continuing with the series. 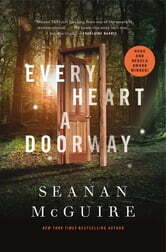 This is the first book by Seanan McGuire but I will be checking out some of her other works soon since I really enjoyed her writing style. Lost of unexpected twists, but I loved them all. Very interesting take on the idea of children who travel in portals, and what those different universes might be categorized as, how each one could be so very different from one another. Fascinating, quick read. It was great! This book is quirky, creepy and sweet. It is everything you could want in a book. You will still be thinking of this wold/worlds long after you finish. Where ever you turn you just might find a doorway or two to go exploring in! Unexpectedly suspenseful and entertaining! It took me a few chapters to get into the story but once it grabbed me, I couldn’t stop reading until I was done!